We received news from our Golden Girl and her trainer that she was celebrated when she came home to Voronesh, their city, and had to show the belt many times.It was a happy champ that now has travelled to Anapa for training camp over a week. To be the champ, you have to train like a champ. More news to come. The Golden Girl Championship 2015 – THE WINNERS! Here are all the winners from The Golden Girl Championship 2015. We have a NEW GOLDEN GIRL! – Tatyana Zrazhevskaia! We have a new Champion, a new GOLDEN GIRL. Her name is Tatyana Zrachevskaia! 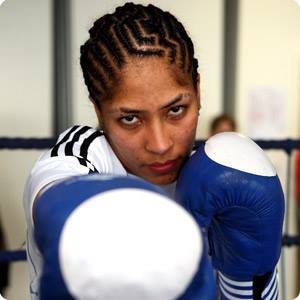 The jurys motivation: With an aura of strenght she rules the ring. Fast hands and with great power. She knows all distances and is very hard to hit. A worldclass boxer. Salut the new Champ! Tatyana Zrazhevskaia! Prepare your self for her training camp. Dates will come soon! The GOLDEN GIRL CHAMPIONSHIP NEWS. T-1 day! We would like to welcome all participants to the biggest female tournament in the world! It´s amazing and it´s all thanks to you. We work hard for female boxing and are very happy how it has developed. Tomorrow it will start and remember that the weigh-in and medical is at the venue between 08.00 – 11.00. Since our two time champion, Mira Potkonen can´t be here and defend her title it is an open race for the GOLDEN GIRL crown. Please read all our information in how you can win the title and become the NEW GOLDEN GIRL. It is just not enough to win all your fights, it´s how you win all your fights. This year is the hardest ever since it is the biggest. The jury search for something extra, something special, a true champion. Late saturday evening the jury will be down to three boxers and they will be noticed before the competitions starts on sunday. Three boxers who will fight for the belt and the title. It might be YOU who are the next GOLDEN GIRL! Here is some important information about entry-fees at the championship. Due to some economic reasons we would prefer if you could pay the entry fee in Swedish currency ( Swedish Krona). If you would like to pay in advance over Swish, by Paypal or by bank just contact Ray Husac for more information about that. We really look forward meeting you all this weekend! The Golden Girl Championship News! Last day of entry, nov 18. Tomorrow is last day to enter boxers to this mega tournament. Join the fun and enter your boxers in this years main event. The Golden Girl Championship – How to become THE GOLDEN GIRL! How to win the Golden Girl Championship. The Golden Girl Championship is a tournament where we search for the best pound for pound , boxer in the roster of boxers who enters the tournament. Boxers from all around the world in any level can take part. Every boxer who attends has the same chance to win the title, from diploma to senior. It is not easy to win, it is VERY hard. The Golden Girl is the boxer who has the best knowledge in defense and offensive boxing, who knows her defensive qualities including blocking and dodging, bobing and weaving, slipping and sliding. Tricks and outsmart her opponent in any way there is. She also has to show ring smartness and give the audience that little extra, some showmanship. (Remember Ali´s shuffle? Sugar Rays bolo punch, Tysons appearances and Roy jones jrs attitude) You won’t win the title by walking forward taking shots to the head all the time or just hiding behind double guard. The ultimate Golden Girl could be a female version of Muhammad Ali, Sugar Ray Leonard, Roy jones Jr, Mike Tyson, Joe Frazier, Floyd Mayweather jr etc. The jury is a group of 7 people from both genders and is spread around the ring watching all the fights. They choose three candidates before the finals on Sunday. To win the title from a defending champion is not easy. If she wins all her fights she is automatically one of the three, so that just leave two spots open for all the others to fight for. Also it is not enough to be as good as the reigning Golden Girl, you must be better than her, you have to impress more, and you have to take the title from the champ. It is pound for pound, so if you fight The Golden Girl and win it doesn´t make you The Golden Girl automatically. All boxers must be seen and not before Sunday afternoon we know who the Golden Girl really is. Apart from The Golden Girl title you can win other prizes as well. You win gold and silver in each class as well as a prize for best senior, best youth, best junior, best diploma and best club/team. You can also win prize for being the best teqniqual boxer, best slugger, best showmanship, and a prize for fight of the year, that goes two those two boxers who was involved in it. even the judges and referees win prize for best in their category. But in the end it is the title “The Golden Girl” it´s all about. 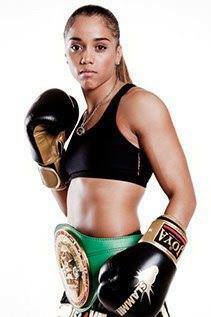 The Golden Girl is the boxer who is the best pound for pound. One champion, one Golden Girl. 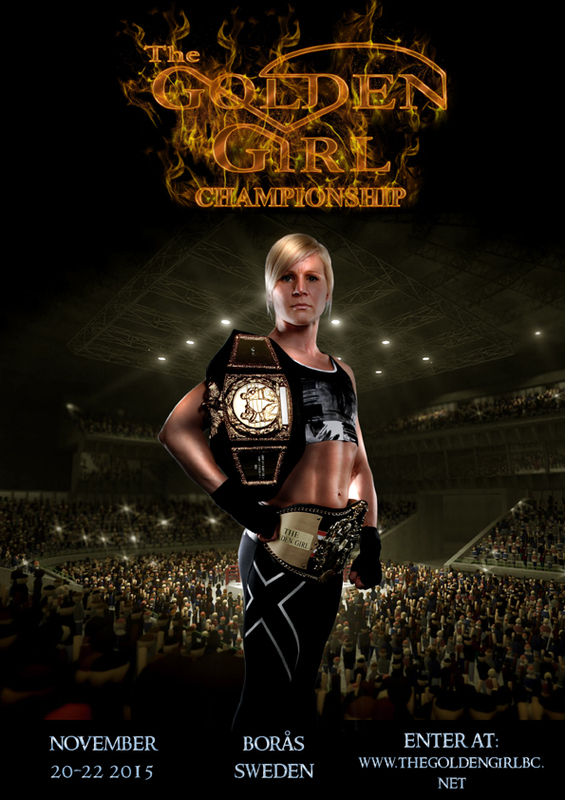 We are sad that we have to write this, but our reigning two time champion, Mira Potkonen, has injured her knee and won´t be able to defend her belts next weekend. We would like to thank one of the greatest champions we have had, her training camps has been so popular, we are sure Mira will be back and we wish her best of luck and hope to see you soon. For the tournament it means that the title is vacant and it is open season for it. Since we open up a new thing this year, Mira might be back earlier than next year. Mandatory title defenses.